So maybe, just maybe, I am the last Librairie staffer to do my top books of 2011. If you're just checking the blog out now, here's a chronological recap: Fiona, Julien, Chantale, Jason, Jade. I am terrible at making decisions. Forced to pick 5 books, I pick 10. Forced to pick 10, I pick 12. Here goes nothing. The below are intensely readable - no, intensely re-readable. They're books I blasted through, ate up whole, was forced to find time for because they were so wonderful. It's just plain brilliant. 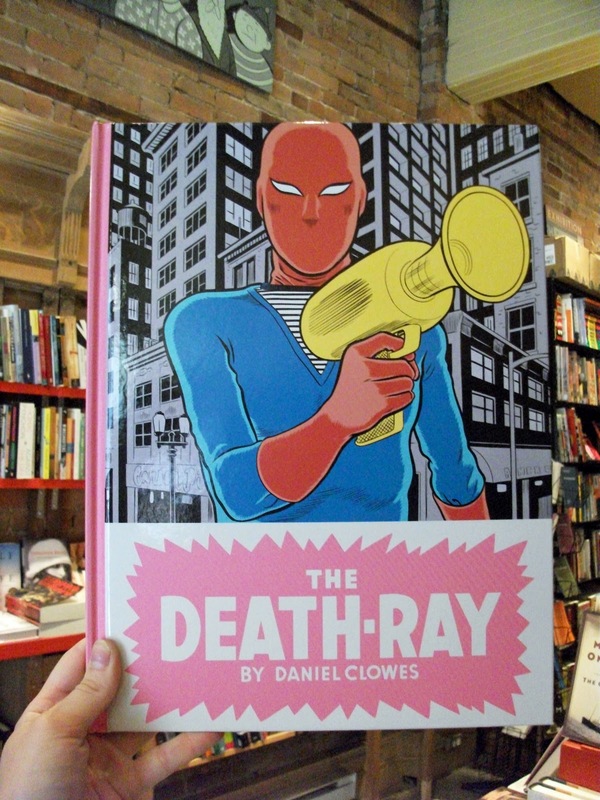 Every time I pick up The Death-Ray, I find something new to appreciate. Read this article (or this interview or ANY of his books) and I dare you to deny the man's brilliance. Okay I know this is a little bit cheating because the hardcover is from 2010, but I read this in January, and the paperback only came out a few months ago. 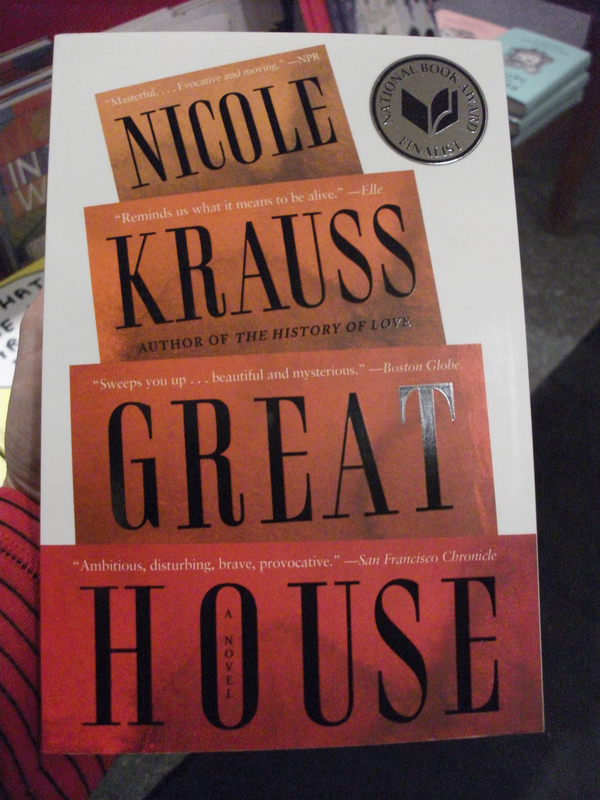 I tore through Great House in three days flat. A poignant, sweeping historical narrative revolving around a desk that might have belonged to Federico Garcia Lorca. 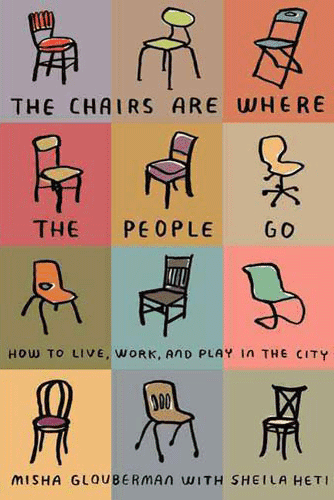 With chapters like "How to Teach Charades", "Neighborhoods Change", and "Feeling like a Fraud", The Chairs Are Where the People Go is a sort of instructional guide written collaboratively by Misha and Sheila. Over the past few months, when giving advice to friends or struggling for the words to express a sentiment, I've frequently found myself saying "Wait! Let me just.... find ... this chapter on ..[falling in love / organizing social groups / meeting new people / being brave] and you'll get it!" Also named a favorite non-fiction book of 2011 by the New Yorker! Look, it's very good. It's poetic, canny, incredibly original, meta-textual, finely-written, and so many other positive adjectives. I forced myself to slow down reading this opus, and savored the 900 plus pages over three weeks. 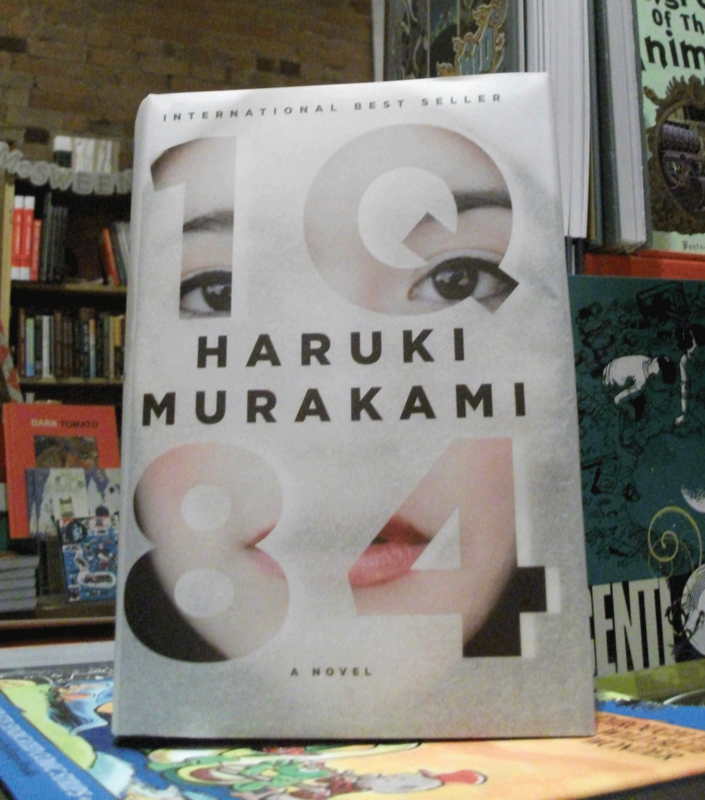 The story is (albeit abstractly) inspired by this short story of Murakami's. Oh, and did I mention the CHIP KIDD DESIGN? 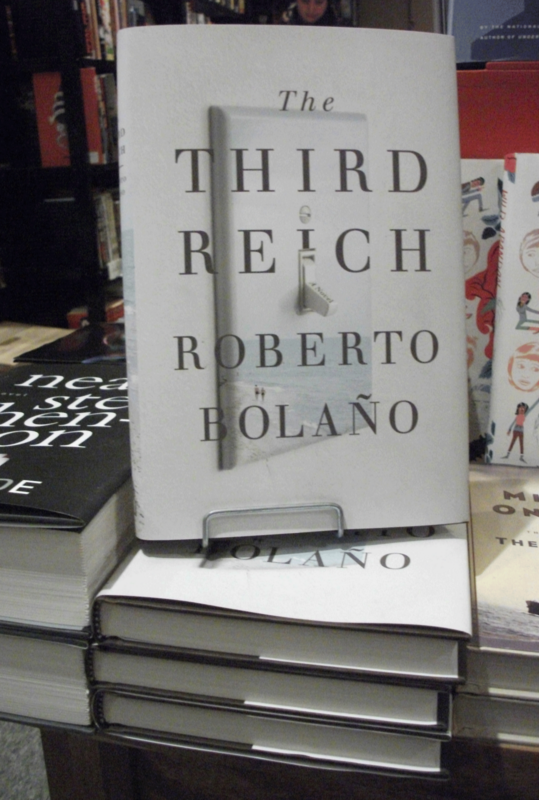 Bolano's a favourite of ours here at the Librairie, and The Third Reich, despite being his first foray into fiction, does not disappoint. It's got all the Bolano hallmarks -- a bleak-almost-black-magic-realist style, disaffected narration, a sense that reality is anything but. Anyhow, don't just believe me, hear it from people who know. Chroniques de Jerusalem par Guy Delisle, The Ecstasy of Influence by Jonathan Lethem, tous les livres de Anouk Ricard, Hark! 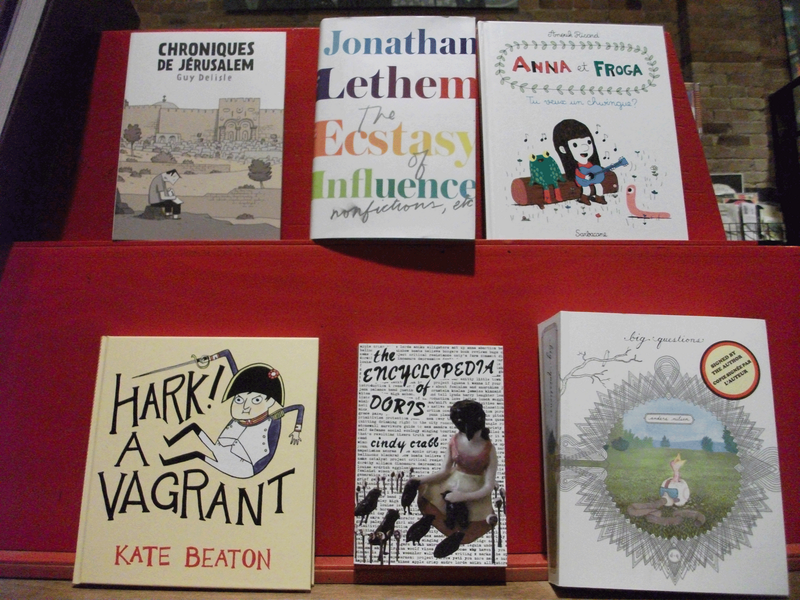 A Vagrant by Kate Beaton, The Encyclopedia of Doris by Cindy Crabb, and Big Questions by Anders Nilsen.